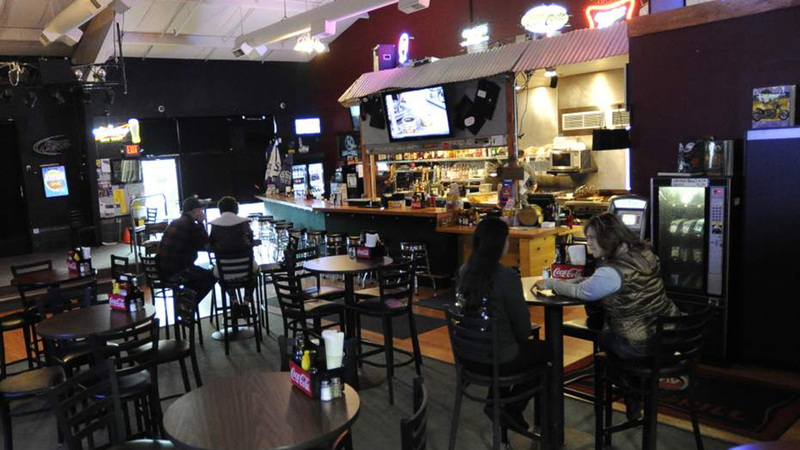 The Northside Bar and Grill of Bend offers “awesome food, reasonably priced drinks, and excellent music”, so a little something for everyone off Boyd Acres in northeast area. They offer traditional, inexpensive breakfast on Saturday and Sunday, including a Bloody Mary for $5. They feature sports year-round on six high-def screens that pair nicely with reasonably priced pitchers of beer, drink specials and food specials during the games. Happy Hour runs 3:00 p.m. – 6:00 p.m. Monday-Sunday, with domestic cans: $2.50, domestic draft: $3.00, domestic bottles: $3.25, Microbrew draft: $4.00, well drinks: $4.00. They offer no cover live music Tuesday (Jazz Night), Wednesday (Acoustic Open Mic with Derek Michael Marc, and Thursday (local bands). With a cover, they also have live music featuring the “best live bands in town” Friday and Saturday so you can take full advantage of their dance floor. Considering how difficult it is to find a good place to dance in Bend, this is a terrific place to cut a rug on the weekend.